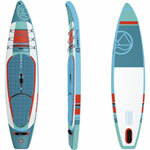 We feature traditional high quality SUPS Packages from Brusurf that are perfect for the paddler looking to get into the sport with a high quality package. 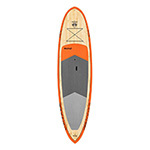 We offer the 10.6' Charger, 10'6" Snap Dragon, 11.6' Cruiser as well as the BruSurf 12'6" Sierra and Sierra XT Touring boards. 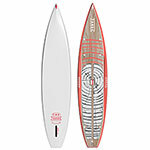 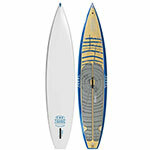 Tahoe SUP is our hallmark brand for the flat water and the paddler looking to go on tour! 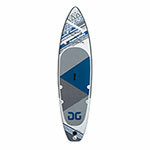 The lightweight advanced shapes glide effortlessly with lots of room for all your accessories and camping gear. 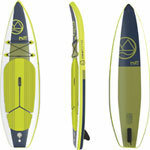 If you need portability combined with durability, have a look at the inflatables by Tahoe, NRS and Jimmy Styks. 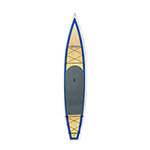 Tahoe SUP Zephyr Sport 12'6"